Payroll’s enough of a hassle without stuffing all the envelopes. 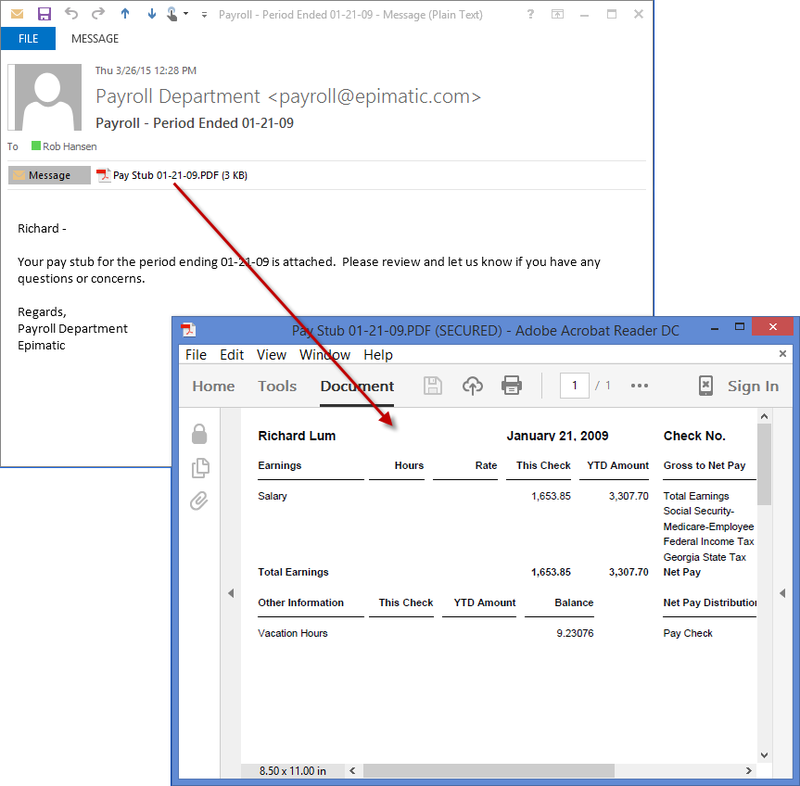 DocumentPath enables users of Serenic HCM payroll for NAV to send paystubs electronically each pay period. As in other areas, Document Sending setups for each employee are used to designate the method used. 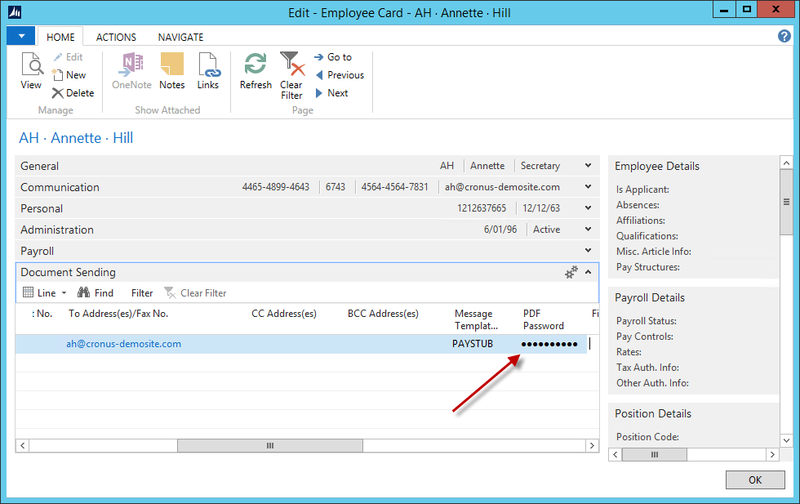 Set some employees to Email distribution, and others (that are behind the times) to continue with Hardcopy prints. Almost nothing new to learn. 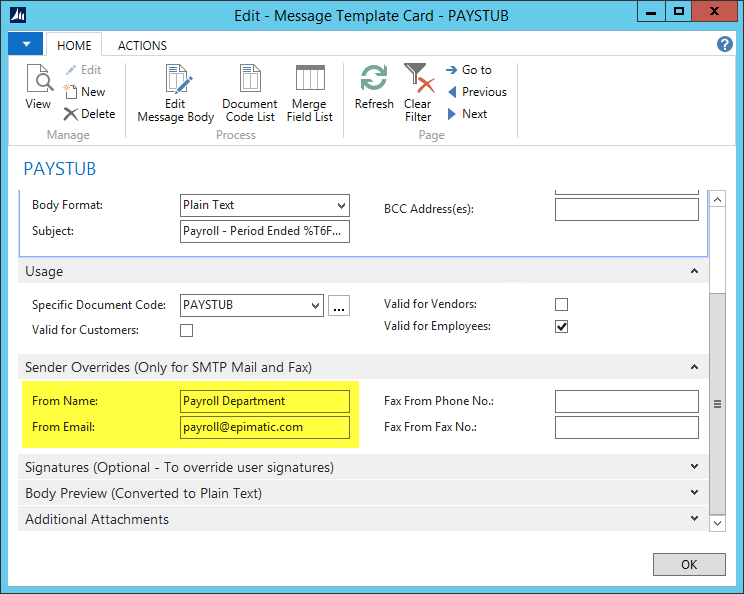 When you implement DocumentPath to handle the sending of pay stubs, nothing changes in the payroll process. Do everything the way you always have. When exporting electronic payments, simply send the output to a PDF rather than printing the hardcopy stubs. 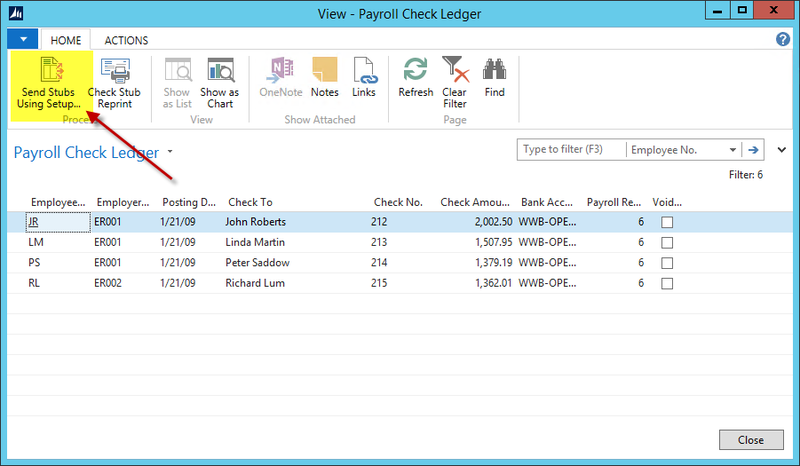 Once payroll is successfully posted, simply navigate to the Check Ledger Entries for the new payroll register and use the new “Send Stubs Using Setup” action. Yes, we know that payroll data is sensitive. The idea of sending payroll details through email can be concerning. As a first precaution, any email address can be used for each employee. Send their pay stubs to an external personal account so they don’t show up on their desktop at work. For added protection, passwords can be assigned. Either manually assign a password for each employee, or use our tool to randomly generate them. In the end, NAV generates emails using your defined structure with the pay stubs nicely attached. 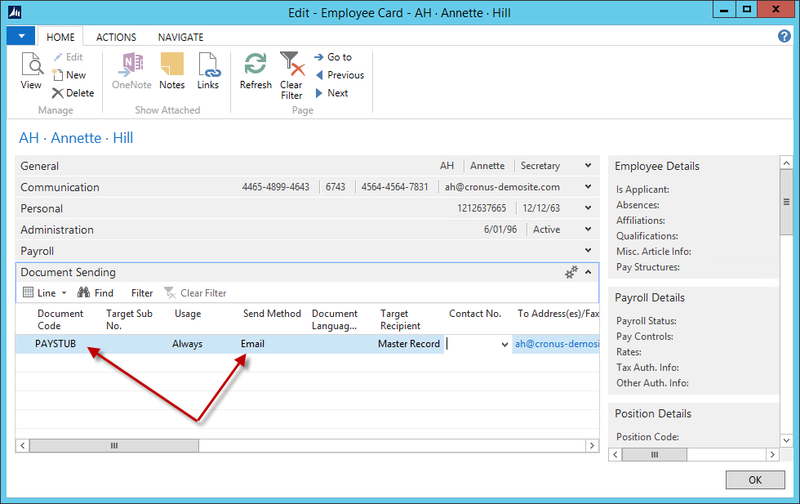 Payroll just got a lot easier.